The village of Györköny (German: Jerking) is located in Tolnau county. 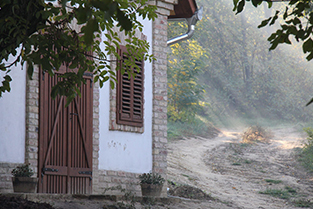 In the early 18th century, Serbian families settled the area, but only stayed for a couple of years. 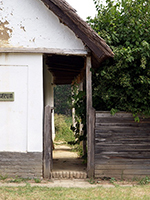 Some field names such as “Ratzeloch”, “Ratzeacker” and “Ratzekaß” still remind of the presence of the Serbians, who were called “Raitzen” in local dialect. In the 1720s, the landowner brought Protestant Germans from Hesse to the village. According to local oral history, they first came to the county of Tolnau from the north in 1725. They travelled on horse-drawn carriages to Bikács, where several other colonists stayed, and then went further south. As legend has it, the wheel of one cart broke in Györköny and the colonists settled there. 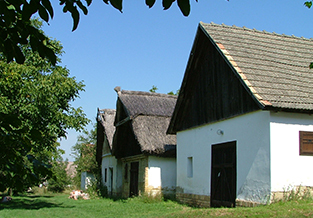 Also, the story shows the connection between the inhabitants of both villages; however, the order of settlement was quite the reverse: first, Györköny was settled and later, after 1739, Bikács. There were two German-speaking Protestant communities in Györköny who did however not get along. 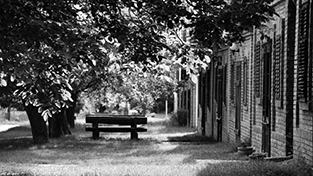 They did not intermarry, sat in different pews in church and lived on separate streets in the village. After the first people from Hesse arrived, some of the Hungarians moved to Sárszentlőrinc. The Germans then constituted the majority of the village. 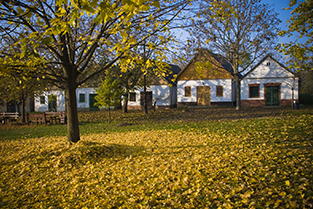 Györköny had four attractive points for settlers: the woods, water, pasture and vineyards. For two centuries, most of the inhabitants made a living with agriculture and viticulture. In 1900, Györköny reached its highest number of inhabitants with 2.749. This number decreased very soon, when a wave of migration to America began. In 1945, approx. 1.000 Germans were displaced from Györköny. 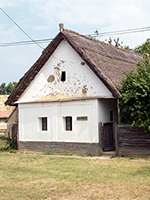 The Hungarian government settled their houses with Magyars displaced from Czechoslovakia after the decrees of Beneš. Furthermore, several dozen families from eastern Hungary came to the village. Györköny has two main sights in relation to the Germans of Hungary. The local history museum displays artefacts of local everyday life and craftsmanship as well as historical costume. At the end of the 19th century, when 1.000 ha of the area were used for winegrowing, the wine cellar district had 420 cellars. A nice walk amongst the uniform facades of the wine cellars should best be combined with a wine tasting. Early morning in the vineyard. After the displacement, many abandoned cellars collapsed which the gaps in today’s row of vine cellars reflects. The museum can be visited upon previous notice. The building was created around 1900. It has pressed clay walls, a thatched roof and small windows towards the street.